Eagle is an outdoor-minded community with unparalleled access to one of Colorado’s finest alpine playgrounds. Welcoming locals, plenty to do, and a convenient location right off I-70 just 30 minutes from Vail and Beaver Creek ski resorts and Glenwood Springs make the town a coveted home base for year-round Colorado adventures. 1. More than 100 miles of uncrowded multiuse trails are easily reachable from town. Eagle is flanked by sprawling swaths of town-owned open space and Bureau of Land Management (BLM) and U.S. Forest Service lands. No matter how you like to explore — on foot, bike or horseback — the diverse routes lead to the mountain landscapes of your dreams, from wildflower-frenzied meadows and dense evergreen forests peppered with aspen groves to glistening lakes and sky-tickling peaks. Blessed with a riding season that stretches from March through November (that’s about four months longer than its mountain-town neighbors) and a handful of BLM trails that stay open year-round, Eagle’s mountain-biking trail network has a growing fan base. Since multiple trailheads border town, you can park downtown and ride 1 mile or less to some of the state’s best singletrack trails. Wind through sagebrush and pinions while catching glimpses of 14,278-foot Castle Peak in the distance on the Eagle Ranch Loops, or pedal on a trail padded with wildflowers to enjoy views of rosy-hued red canyon on The Boneyard Loop. For road cyclists, the Colorado River-side Glenwood Canyon Recreation Trail is a tried-and-true pathway located just 16 miles from Eagle. Get mountain-biking trail maps online or download the TrailForks app. Trail running, backcountry skiing or hiking along the 10th Mountain Division hut system and golfing at the Eagle Ranch Golf Club are also favorite ways to experience Eagle’s splendid landscapes. 2. There are tons of opportunities to partake in splash-worthy fun. Eagle’s namesake river offers miles of entertainment, including exciting Class III and IV whitewater voyages on the Lower Eagle and mellow Class I and Class II floats on the Upper Eagle. 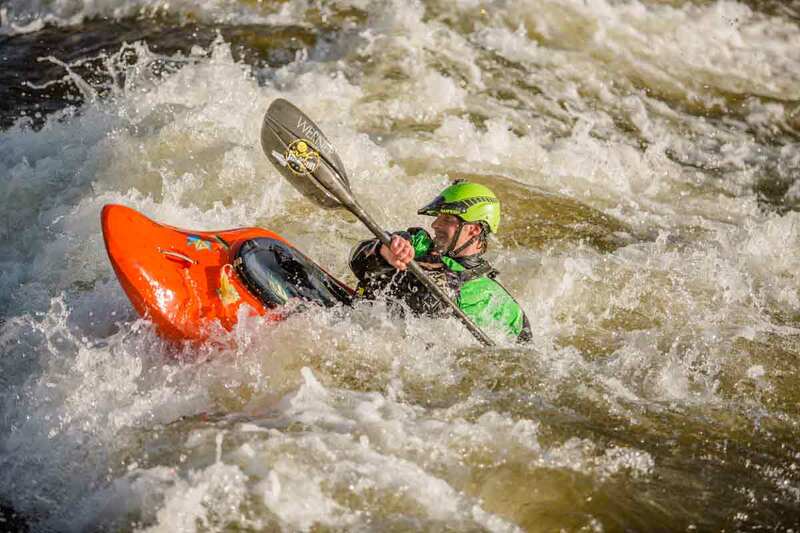 The Colorado River’s mild rapids are also popular for leisurely afternoon floats, and the new Eagle River Whitewater Park caters to kayakers, stand-up paddleboarders and other paddlers hankering for an adrenaline rush. 3. Blockbuster events supply entertainment for all ages. Eagle’s active culture and its residents’ collective passion for the outdoors shine at the Eagle Outside Festival in June. 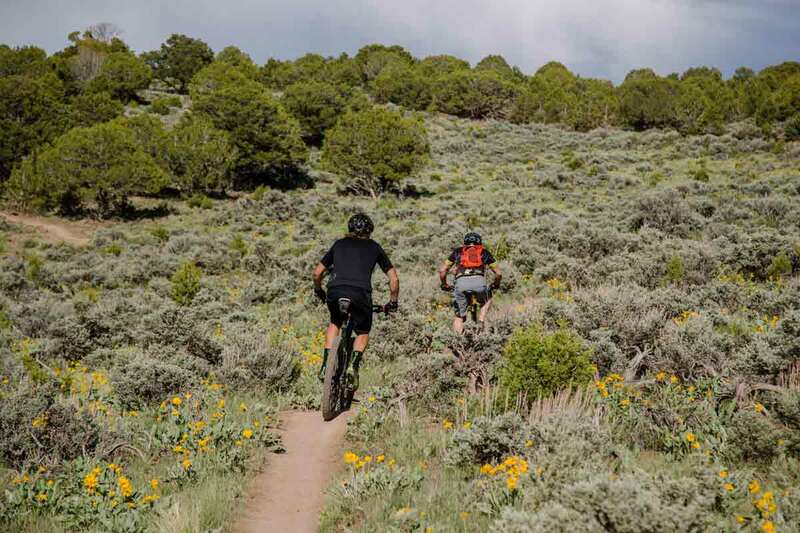 Locals and visitors unite to partake in mountain-biking clinics and competitions, watch gear demos from top outdoor brands, and participate in other activities like fly-fishing, boating, hiking and yoga. There’s also a Bonfire Block Party featuring live touring bands and, of course, craft beer. 4. It has a blossoming craft community. Colorado is known for having a thriving population of innovators and artisans — and Eagle is no exception. Order the Brush Creek Blonde at Bonfire Brewing, where all of their offerings are brewed with water from Brush Creek — fed by the snowmelt from the Sawatch Mountains. Or snag a sunny spot on 7 Hermits Brewing Company’s patio to relish a pizza and a frosty pint. To get your caffeine fix, head over to Color Coffee Roasters, known for using a special roasting style that brings out the sweetness and complexity in their coffee beans. 5. Plenty of affordable lodging options make Eagle the perfect headquarters for all types of activities in the surrounding wilds. There is something for every type of traveler, whether you prefer the convenience of a well-known hotel chain, crave a bed-and-breakfast stay or want to pitch a tent under the stars. Yeoman Park Campground, located on the edge of a wetland meadow, and Fulford Cave Campground, with lovely views of verdant Yeoman Park, are just a couple awesome campgrounds in the area, while Sylvan Lake State Park has cozy yurt and cabin rentals. Visiting Eagle in the Winter? While world-renowned skiing and riding at Vail and Beaver Creek resorts is just a snowball’s throw up the highway, Eagle has some great winter pursuits of its own. Many of the hiking and biking trails accessible from town are perfect for Nordic skiing, snowshoeing and fat biking when blanketed with snow, and Eagle Ranch Golf Course even offers a groomed snowshoe/Nordic course.